Wine and Olive Oil Gifts – Cacciatore Fine Wines & Olive Oil Corp.
We offer Gift Boxes of 1 bottle, 2 bottles or 3 bottles. 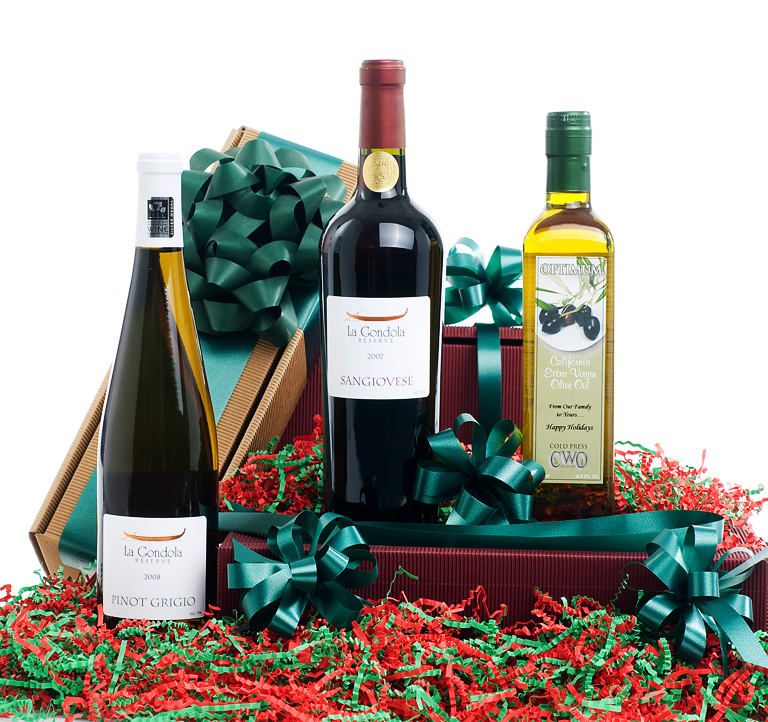 Each Gift Box can include our Good Dog Wine, La Gondola Reserve, Optimum personalized label or Extra Virgin Olive Oil. Please phone or email us for more information on the Gift Boxes or to Place an order.